VC-22 is a belt conveyer checkweigher that meets the demands of production line quality control for products weighing between 10 g to 10 kg. This in-motion checkweigher offers quick and simple operation with easy changeover from product to product. 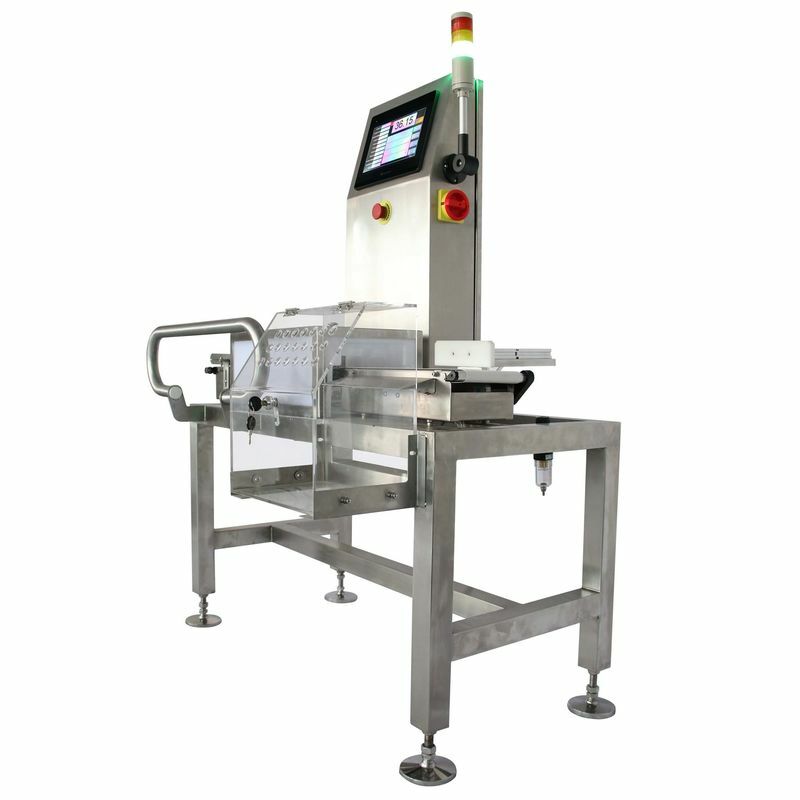 The checkweigher is built solid enough to handle virtually every product in any environment, yet is responsive in both accuracy and performance. Designed for flexible and hard-to-handle products, the VC-22 uses 1″ diameter conveyor rolls for the smoothest possible transition of product across the scale at rates in excess of 100 units per minute. Networked servomotors on each conveyor provide responsive performance, with conveyor speeds up to 250 feet per minute. Conveyor frames and belts can be removed without tools, allowing thorough cleaning and easy maintenance. Conveyors are interchangeable and include many commonly available parts.